This mural, made by a bunch of middle-school students. 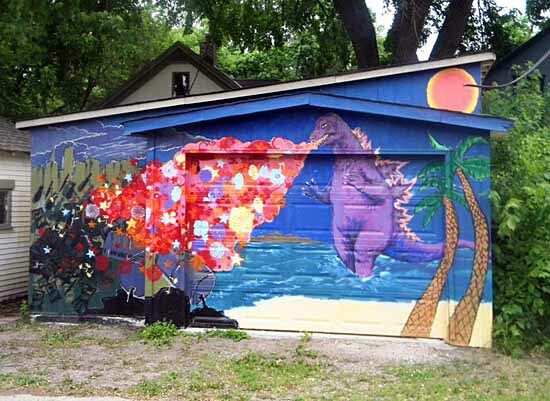 The owners of the garage initially wanted a mural of "Godzilla climbing over the Minneapolis skyline, drinking a Premium". Can somebody please make that?